Finally, the cat’s out of the bag! It has been absolute torture for us to keep this a secret for so long, but we can FINALLY reveal that last summer, East Dulwich WI members Tina Hampson, Fiona Nott, Pam Martin, Anna Gryce, Sarah Pylas and SE Magazine’s very own Angela Burgess, took part in the hit SKY 1 TV show, Ashley Banjo’s Secret Street Crew. If you are not familiar with the show, each episode follows a group of non-dancers as they secretly attempt to learn a street dance routine choreographed by 2009 Britain’s Got Talent winner Ashley Banjo and his street dance troupe Diversity. 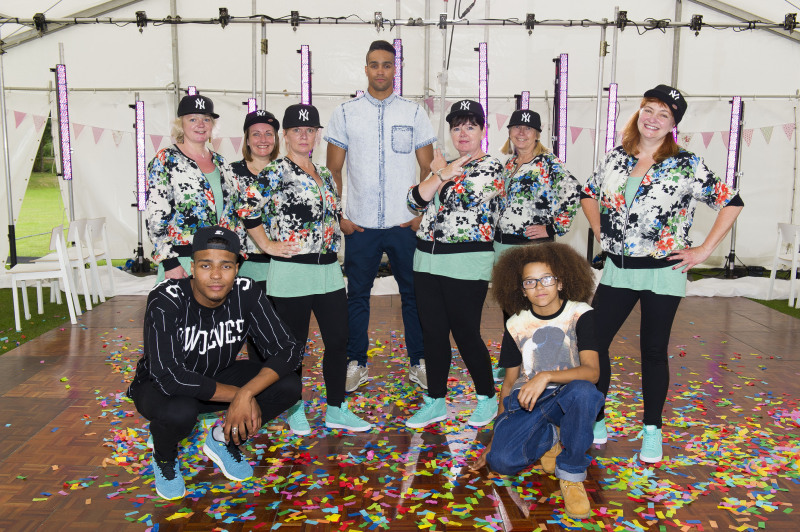 After 3-weeks of intense rehearsals with Ashley and WIversity group mentors, Jordan Banjo and Perri Kiely, the ladies then performed their routine to an unsuspecting group of friends, family and fellow WI members at a charity cake bake competition. There were highs and lows, ups and downs (literally) and a whole load of belly laughs. We don’t want to give too much away, but you can see how the ladies got on by tuning into Ashley Banjo’s Secret Street Crew, Sunday 5th October, at 6pm on Sky 1 HD.